Figure 1. Ambassador Philippe Lhuillier presents credentials to UNWTO Secretary-General Zurab Pololikashvili. Figure 2. Ambassador Lhuillier and Secretary-General Pololikashvili discusses possible areas of collaboration between PH and UNWTO. Ambassador Philippe J. Lhuillier presented his credentials as the first ever Philippine Permanent Representative to the UNWTO to Secretary-General Zurab Pololikashvili on 25 January 2018 at the UNWTO Headquarters in Madrid. Ambassador Lhuillier was appointed by the Department of Foreign Affairs to the position last year. 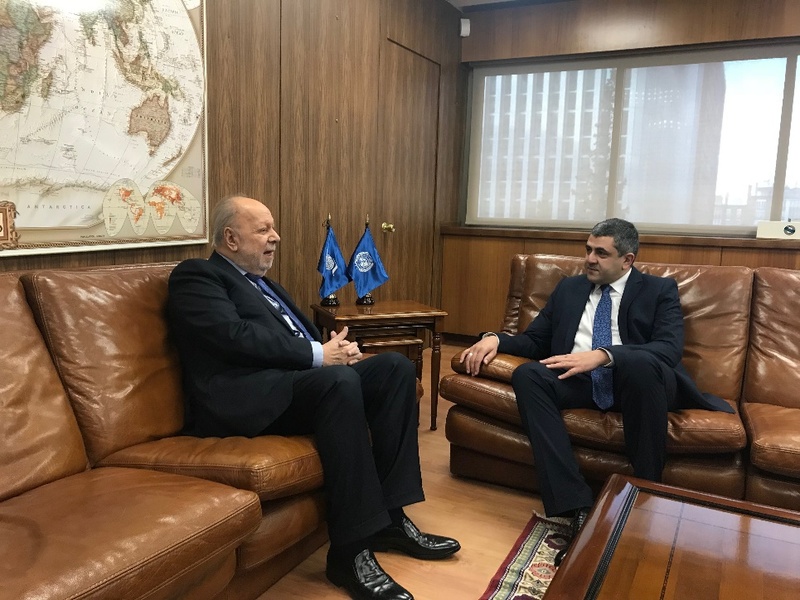 At the meeting following the presentation, Ambassador Lhuillier conveyed the Philippines’ full support to the UNWTO and his optimism for the direction of the Organization under the leadership of Secretary-General Pololikashvili. He further promised that the Philippines will become closely involved with the UNWTO’s projects and programs and sought the UNWTO’s assistance in ensuring that Philippine tourism bodies learn the best practices of other countries that have successfully made tourism the main contributor to their national economies. Secretary-General Pololikashvili concurred with the Ambassador on the need for the Philippines to push further towards prioritizing tourism development. He cited the country’s advantages such as the legendary hospitality and English language fluency of its people, fantastic weather, emerging gastronomy scene, and improving infrastructure; and said that he saw these as areas that ought to be marketed and developed to increase tourist arrivals. Ambassador Lhuillier also congratulated Secretary-General Pololikashvili—who concurrently serves as the Ambassador of Georgia to Spain—on his new position. The latter took over as Secretary-General on 1 January 2018, following his election by the UNWTO General Assembly during its 22nd Session in Chengdu, China in September 2017.